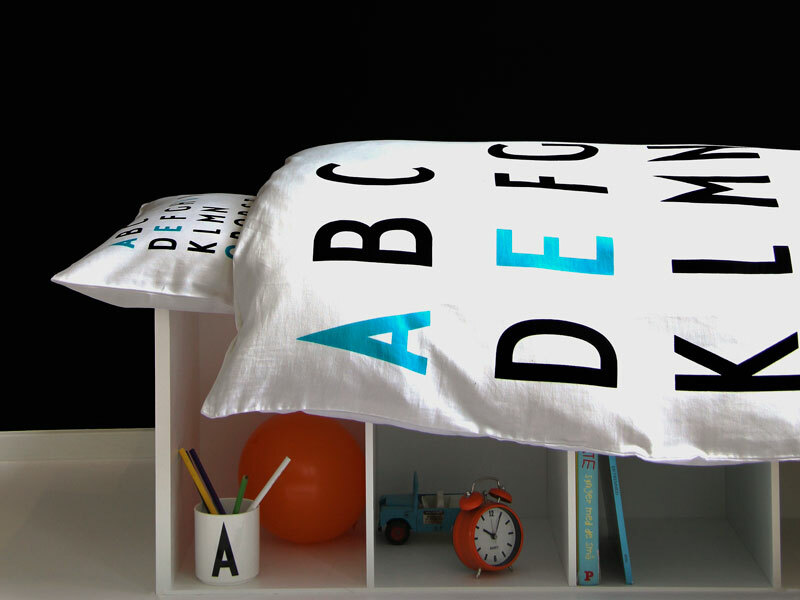 Now your kids can catch their ABCs alongside their ZZZs with Design Letter‘s organic kids bedding featuring the Bauhaus inspired typography of Danish architect Arne Jacobsen. Originally drawn in 1937, the letters were created for the internal signage at Aarhus City Hall. For a clever twist, the vowels are highlighted in turquoise. Made from 100% organic cotton, and GOTS certified, these linens are available in a black/blue color combiation, but come May, they’ll also be offered in black/purple. Available for purchase in April from www.kaiku.dk or www.luxoliving.dk, two Danish web shops which ship abroad. Now your kids can catch their ABCs alongside their ZZZs with Design Letter's organic kids bedding featuring the Bauhaus inspired typography of Danish architect Arne Jacobsen. Originally drawn in 1937, the letters were created for the internal signage at Aarhus City Hall. 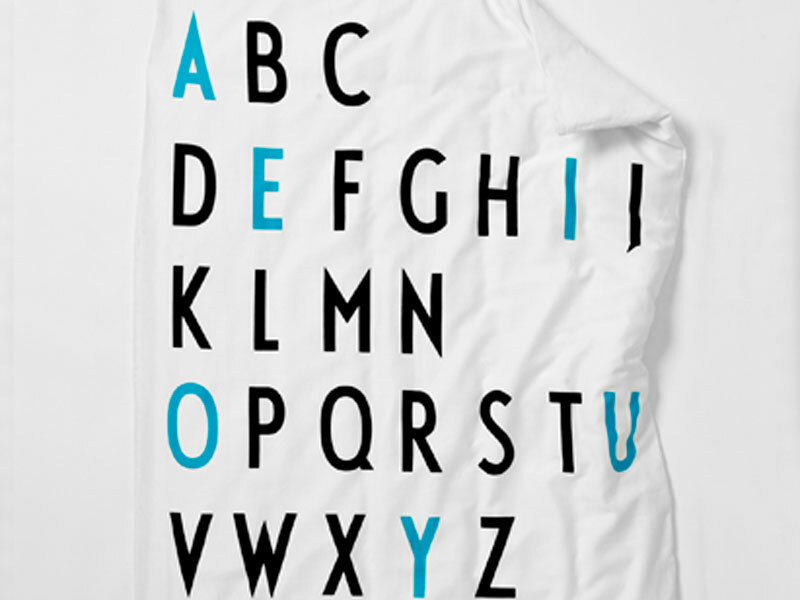 For a clever twist, the vowels are highlighted in turquoise. Made from 100% organic cotton, and GOTS certified, these linens are available in a black/blue color combiation, but come May, they'll also be offered in black/purple. Available for purchase in April from www.kaiku.dk or www.luxoliving.dk, two Danish web shops which ship abroad.